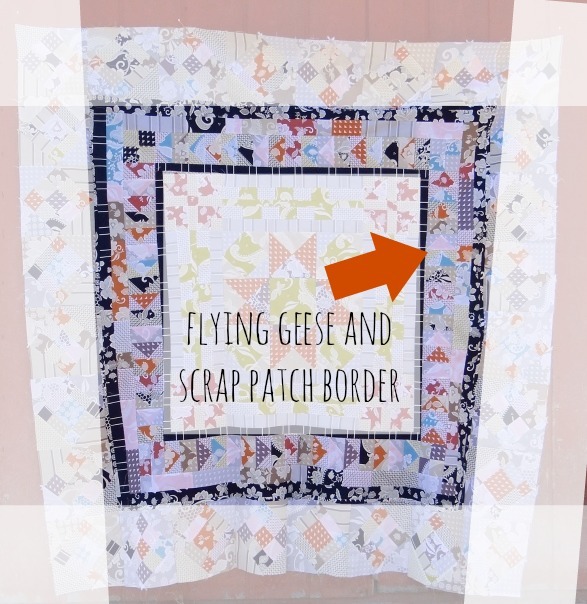 Today we are going to be sewing the flying geese and the scrap patch border to the quilt top. How’s it coming along? 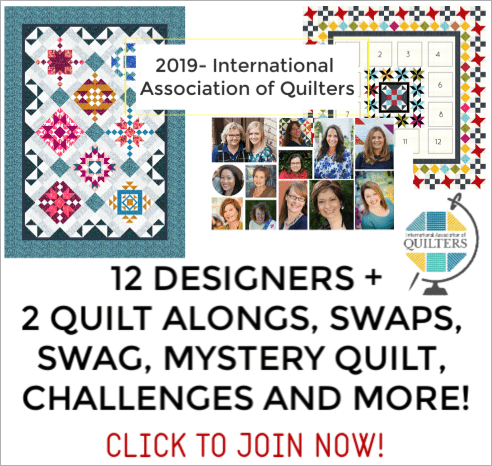 Are you loving all the inspiration and how others quilt tops are coming along? 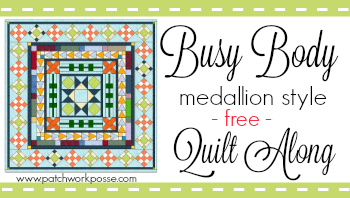 Make sure you pop into the free quilting resources group to check them out. They flying geese is sewn together in kind of a different technique. What’s nice is you’ll get a few out of them at a time, not nice– you’ll see a few shapes that you aren’t familiar with and can throw you off. Just keep following the instructions and everything should turn out just fine. 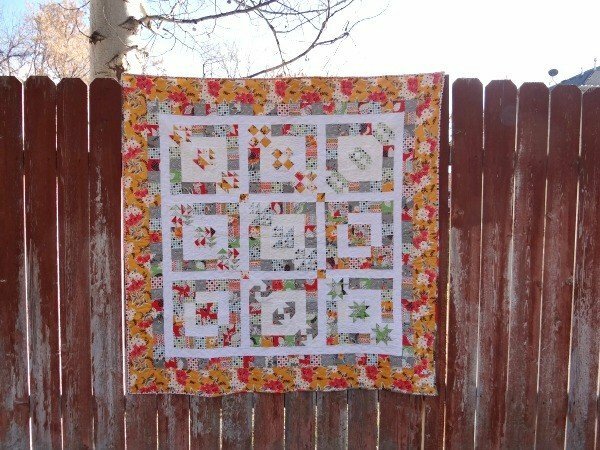 We will start with the flying geese border. 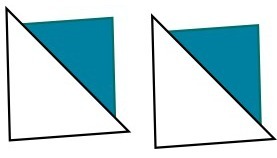 There will be 17 flying geese units sewn together with a four patch in the corners. 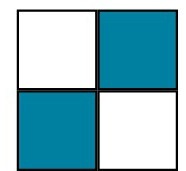 5) Lay the two pieces – right side together *line up the outside of the squares together – don’t worry about the fabric colors not lining up! 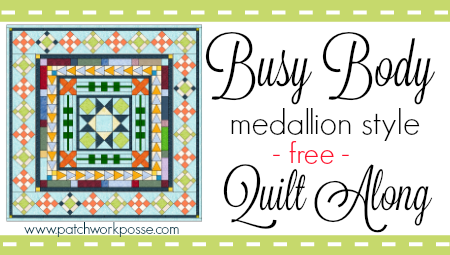 2 1/2” X whatever you’d like – many pieces. Lots of scraps, but they need to be 2 1/2” on one side. I used a mix of lights and mediums – not dark. 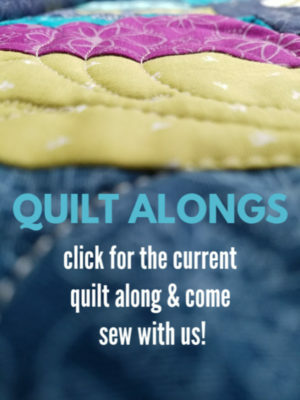 If you are sewing along and would like to help spread the word– here are some blog buttons you can post and share on your site. Skill level: Beginner – Confident Beginner. I really am kind of a lazy stitcher. 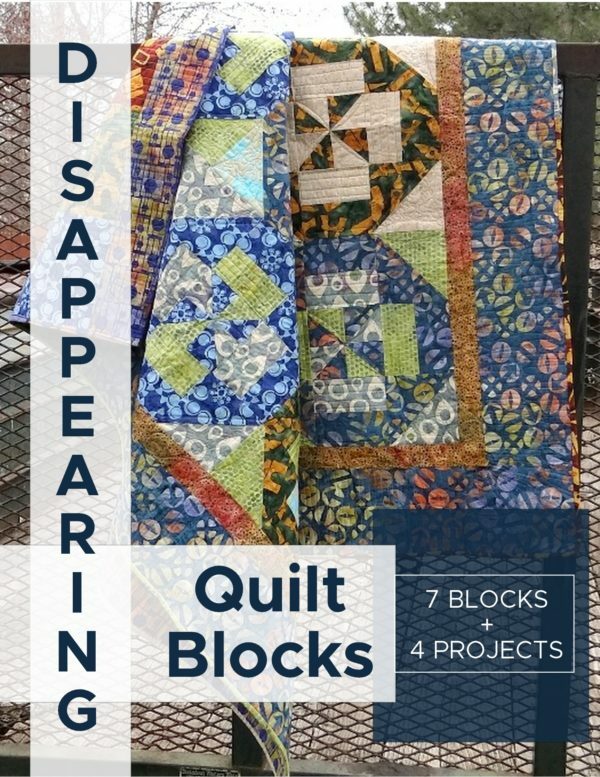 I’m not a huge fan of difficult or brain thinking quilt blocks, so for the most part they are simple and a great place to start. Because of the community atmosphere, you are able to get help if you are stuck, ask questions and share a hint. 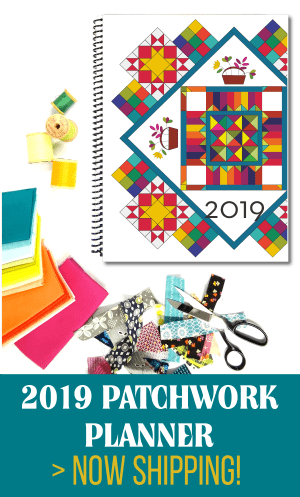 Technique: There are a few paper piecing blocks, but mostly their is patchwork. 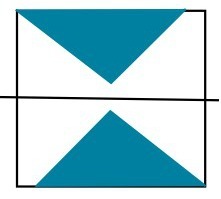 The blocks aren’t too difficult- that is why the beginner skill level. 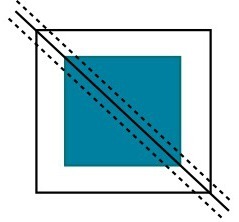 Pattern Format: blog post format. 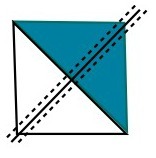 You have the option of using the print option at the bottom of the post if you would like a paper version of it. 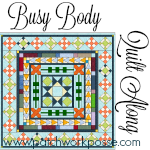 If you are sewing along- make sure you post your progress in the quilting fb group. Can’t wait to see it! no pdf’s – just on the blog for now.